Mother’s Day is always a tough day for me. My Mum died almost 3 years ago, so it’s bittersweet. As much as I love my family spoiling me one day a year, I miss having someone to spoil. To combat that, we try to keep as busy as possible on Mother’s Day, so I don’t dwell on what’s missing. With that in mind, I am sharing some of the Mother’s Day gift ideas around Manchester, which I have found this year! If you’re as unorganised as I am, chances are you’ve not even bought a Mother’s Day card. Don’t panic too much though – there’s so many things happening locally this weekend, you’ll still be able to spoil your Mum! Read on to find out some of my favourite Mother’s Day gift ideas around Manchester! 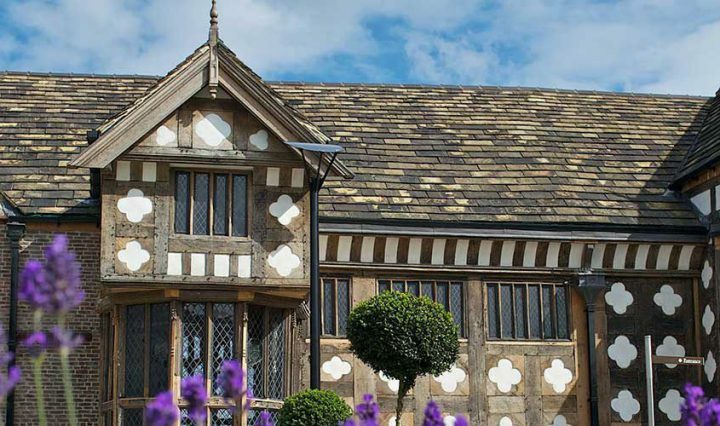 Ordsall Hall is one of my favourite places to visit in Greater Manchester. It’s within Salford’s boundaries, but is only a few miles from the City Centre! Why not take your mum for Afternoon Tea in a Tudor Manor House? It’s £30 for two people, or £35 if you want to add a little fizz to your day, with a glass of Prosecco each. This sounds like my perfect Mother’s Day treat. You’ll need to book quickly though – there’s only a few places left! 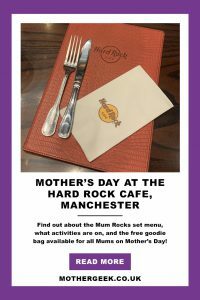 If your Mum is a fan of Rock or Indie music, she is bound to love being whisked off to The Hard Rock Cafe for Mother’s Day lunch! I was lucky enough to sample their Mother’s Day menu last week, and it is so good! You can book your places here! There’s plenty going on for kids on the day, and all Mums get a goodie bag as well! (While stocks last)! While the chances of you actually getting slots for a spa day on Mother’s Day itself, you can definitely book a Spa Day gift certificate for your Mum! 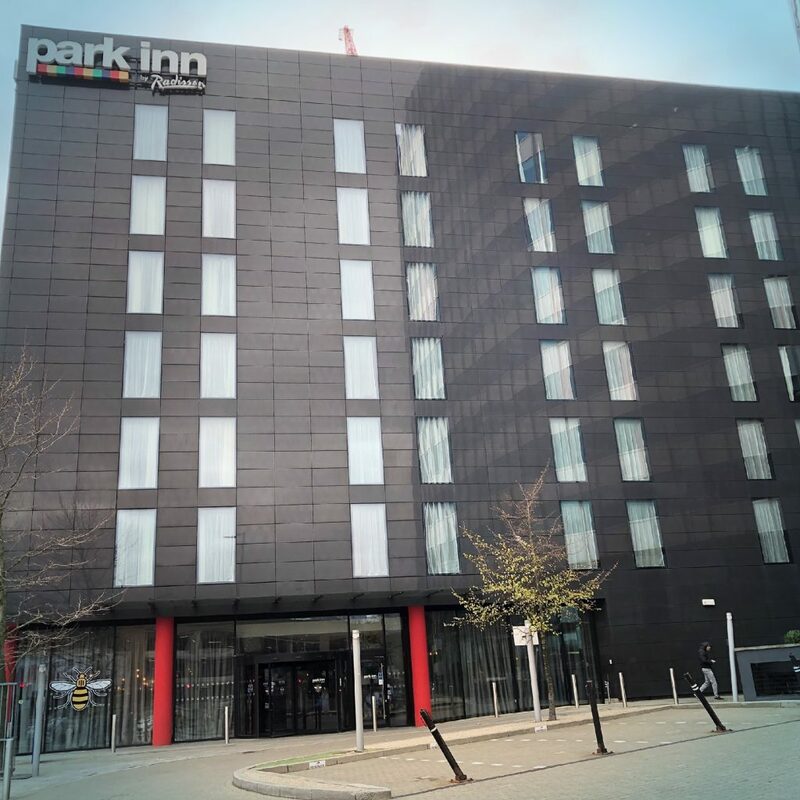 I went down to The Park Inn by Radisson this week and had a full body massage – it was amazing! Definitely check out Buy A Gift if you’re looking for a fab deal on Mother’s Day Spa Days. 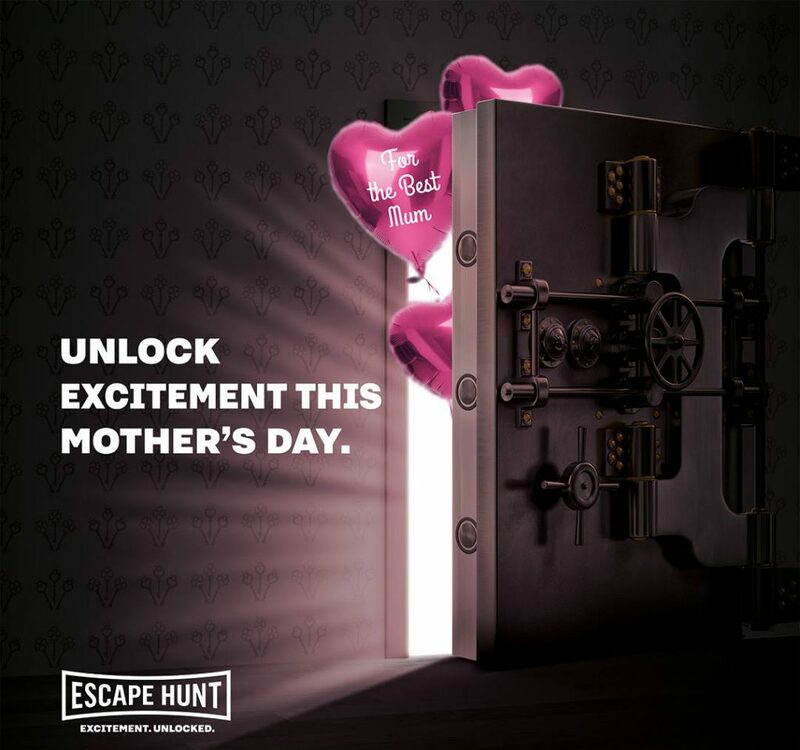 The team at Escape Hunt have put together a fab Mother’s Day box! Inside, there’s a card you can personalise, a voucher to play one of their 5-star rated escape games. (Which is revealed through an exciting jigsaw puzzle). As well as a drinks voucher, so Mum can enjoy a glass of Prosecco to celebrate surviving another year of Motherhood! There are 5 different games to play… Escape the madness has an Alice in Wonderland theme. Worlds Collide has a DR Who theme. Blackbeard’s Treasure is a Pirate adventure. The Fourth Samurai has an Ancient Japanese theme. Escape the Wild West sounds self explanatory … But unless you were imagining trying to repair an old Steam Train to escape the Bill French Gang… You were SO wrong! The Last Vikings involves you working together to try to summon the Gods and save your village! 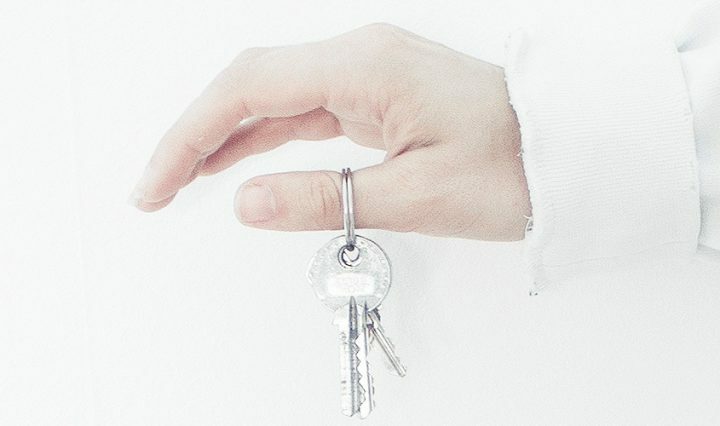 Mums must work as a team with their families or friends to beat the clock and break out of the room. With cryptic word play and physical dexterity texts, it’ll be a mental and physical challenge! The Mother’s Day gift box contains 1x £25 voucher, which will pay for your mum’s spot. You’ll still need to pay for any additional guests. I hope these Mother’s Day gift ideas around Manchester have been useful. Finally… Have fun whatever you get up to this weekend! I wasn’t paid for writing this post, but I have reviewed some of the venues.